The Gremlin was to the American students what the Citroen 2CV was for the French. 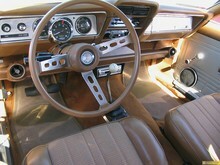 The car was introduced on the first of April in 1970 but not as a joke. This was one of AMC's best-selling cars. 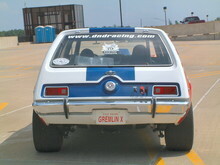 The Gremlin had both six cylinder and V-8 engines available. The V-8 engines were 5 litres and delivered 152 brake horsepower. The car was in reality an AMC Hornet that was chopped off behind the front doors. 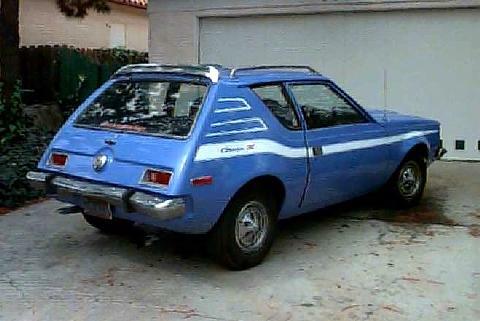 The gremlin also had a 2 litre version released in 1977 and the engine came from audi and porche (out of the 924). The car was brought out with the new body in 1977.